Just shy of two weeks ago some dear colleagues and I were sitting at the community lunch table. Between tidbits from class and the day-to-day came, of course, a discussion of Lent. It was, after all, the week before Ash Wednesday: the beginning of many folks’ favorite time of Year. 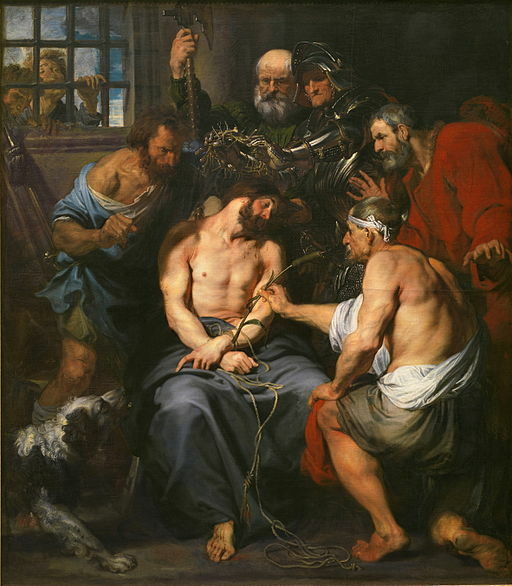 Lent's popularity crosses all the major Christian traditions. Even evangelicals and capital “P” Protestants are doing it. My family kept Lent when I was a girl—and we were Southern Baptist! There is something about this season of preparation, this invitation to turn and walk lighter in the shadow of the cross. It moves many of us in a deep way, like the gradual pull of an ocean current or the flirty come-hither dance of a fire’s flame. 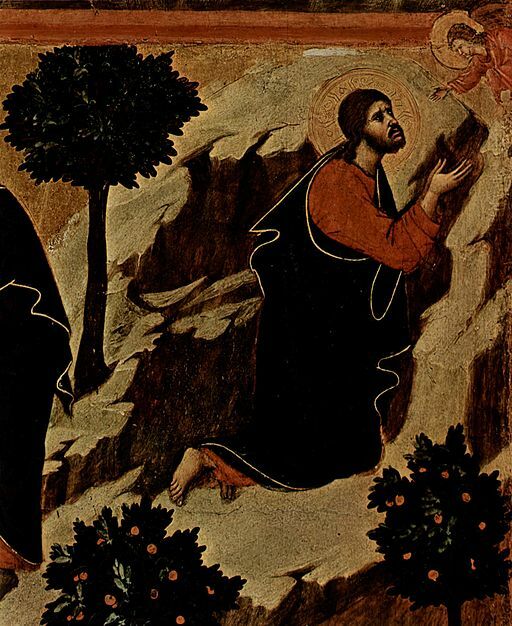 Perhaps we know in our bodies—centers of integral discernment our brains oft ignore—that something important will be said and asked of us at Easter. We’ll need to prepare for that. It does a body good to prepare for the holy. I feel that need. All the ions in my body point toward that laden cross and empty grave. Like the rest of the Year, Lent is something that happens--whether we “do” anything about it or not. Our “doing,” though, can help us become more aware of God’s wooing ways, of God’s invitation to the way of the cross. One woman at my table is giving up TV and is taking up vegetarianism for 40 days with a friend. Another colleague is weaving more meditation into her life. As ideas flew around the table I realized that I actually had no plan for Lent, which is weird because (1) I’m a planner and (2) I’m a liturgical liver, dadgumit. So I started thinking. When I was a teenager I gave up sweet tea and soft drinks. In college I often focused on similar sweet-treat fasts. Last year Aaron and I decided to stop sending food waste to the landfill (we started composting with worms!). But this year I did not know what to do. Truth be told, we are living a pretty ascetic lifestyle right now. It is not Spartan, by any means. We eat well and enjoy treats and entertainment, but nothing really stands out as distracting. An inkling began to form just a few hours later. My “Spirituality of the Enneagram” professor, Chris Copeland, did something awfully clever at the beginning of class. He had a T-chart drawn on the board. At the top of one column he wrote “Stress,” and asked us to describe stress in our lives. How do we experience it? What does it feel like in our bodies, minds, and spirits? We had quite a list. Then Chris asked us to call out the opposite. What is the opposite of stress, of how it makes you feel? How do you experience that in your body, mind, and spirit? Again, the class rang out with adjectives and Chris jotted them on the blank side of the T-chart. We could spend the next decade talking about what “Sabbath” is, but for now, let me by simply with this: Sabbath is sacred time—time saturated with the presence of God’s wholeness, love, and peace. As a Christian I recognize that all of time is held in God’s embrace. The question is how might our conscious minds and knowing bodies tap into that Reality? What do we need to do in order to receive this constant and freely-given grace of God? What postures, practices, or traditions might we try in order to turn and touch the Divine? Gretchen helped me find another name for this euphoria. "Communion," she said, "Sabbath for you is intimate communion." Well, yeah. Um. Actually. Yeah--that’s it. I know the Reality of God best in those moments of true connection—with husband, friend, community, and creation. And I want more of that! The more I sat with this idea the more I realized God’s Lenten invitation to welcome community—to open toward friendships and intimacy rather than turning away. It is much easier to protect myself if I am unattached, disconnected. But I do not exist simply to survive this life. My soul longs for the communion for which I was made. As Papa says in The Shack, love does leave a mark, but God says it is worth the risk. When Aaron got home later that week from a church conference, he shared with me the same thing, the same stirring in his heart. It is time for us to move toward community, rather than away. We need our people. Look out world. God wants the Coyle-Carrs to hug you. And we’re on it. To sink our thirsty roots through the shallow soil of social acquaintance to the ground spring of beloved community. What am I giving up for Lent? I don’t know—my walls? The absolute illusion of control that fear demands I maintain? Sure. But “giving up” might not be the best terminology for what I sense God asking me to do. Rather, the Spirit beckons me to walk in a certain direction this Lent—toward community and the vulnerability friendship requires. This directive, then, is my spiritual intention for Lent. I cannot “make” community happen, and I certainly do not want to force “be friendly” and “see friends” into Lenten chores. Absurd! Community depends on more than just me, anyway, and it is not something to be accomplished. Rather, Aaron and I are looking at personal and family spiritual practices that leave us open and hospitable—practices that embolden our hearts and hush our fears. Spring Cleaning is a traditional Lenten activity. Annual chores have often been connected with the different seasons and holidays of the Liturgical Year (i.e. Candle-making on Candlemas, blackberry picking before Michaelmas, etc.). We have chosen a good Spring Cleaning and the practice of keeping an especially neat home for Lent this year, however, with hospitality in mind. As we wash dishes, dust bookshelves, or scrub toilets, we will do so with prayers of hope and thanksgiving for those who might find themselves at home with us. Also, let's just be real for a second, it is easier to welcome folks on a whim when I feel confident about our space. Ultimately, this practice is about making room for people in our home. Daily Prayer is a consistent aim in the Coyle-Carr house, and the early morning invitation to pray for others gets me every time. We’ll keep at it during Lent in order to connect with the many Christians who pray the office, to hold friends in the Light of Love, to lift up the shadowed concerns in our community, and to remember that we are not alone in this coming Kingdom of Love. 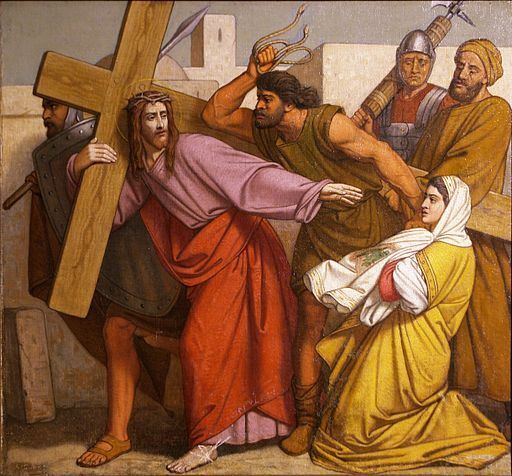 Stations of the Cross is the practice of remembering and meditating upon Jesus’ path to his crucifixion. It usually involves prayer and iconography. First Baptist Church on Fifth here in Winston-Salem has installed stations in its sanctuary for the entirety of Lent this year. We hope to pilgrimage these stations once a week or so throughout the season. We’ll be remembering Jesus, receiving the hospitality of a local Baptist congregation, and engaging with how Lent is happening in our community. We’re going to party. Lent ain't just for sackcloth and ashes. It boasts several beautiful feasts for the celebrating—and we’ve got plans for a few. March 17: St. Patrick's day, of course, is a big deal around our place. We pray Celtic prayers, eat shepherd's pie, drink homemade beer, and wear lots of green. March 19 (observed on Monday, March 20th this year): St. Joseph's day will be a new observance for us this Year. This Joseph is none other than Mary's husband and I am thrilled to celebrate a man who knew how to partner with his wife and child for the betterment of the world--patriarchy be damned. March 24: Oscar Romero died on this day in 1980; Pope Francis declared him a martyr. We'll remember Brother Oscar and all his work for social justice, reconciliation, and reform. We'll pray for peace, inner and outer transformation, and eat something fair trade from El Salvador. March 25: Nine months out from Christmas day, this is the feast of the Annunciation of Our Lord--a day to remember Gabriel’s visit to Mary, her YES to participate with God’s salvific action in the world, and the mysterious beginning of Jesus' incarnation. EVERY SUNDAY is a mini-Easter and is, therefore, reason to celebrate, but we'll especially sink ourselves into Laetare Sunday on March 26th. It's the halfway point of the Lenten season. Some traditions trade their purple garments for rose pink on this day. 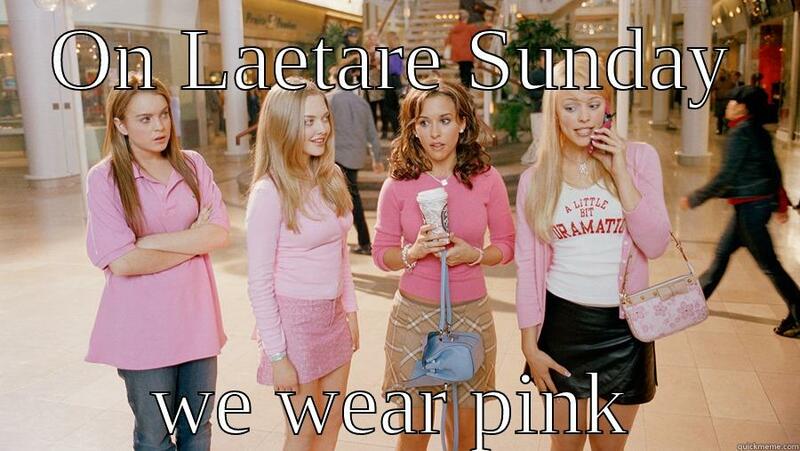 Laetare means "rejoice!" How are you keeping it? How is it keeping you?